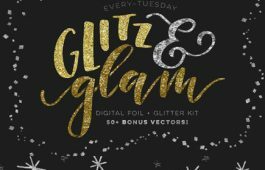 Take All of My Skillshare Classes for $0.99 -> Link! Ready to hop in? Get your summer of learning started here! Oh goodness!!!! Thanks so much, just joined! I am trying to create a skill share account but every time I do it says “something went wrong”… Do you have any other ways to view your classes? Hmm, it’s hard since I don’t have any control over their back end – sorry about the trouble 🙁 I *will* be making these classes available on Every-Tuesday soon, though! No worries! I was able to work it out. Thank you! The font making course is over 5 hours long and took 3 months to make, so it’s a premium course, sold exclusively through my site. Thanks for asking! Im sure its well worth it I will take a look. Where can i find pricing for this course teela ?